Global Manager Group released ISO/IEC 17020:2012 documentation kit in July, 2012 and receives excellent feedback from user all over the world who purchased this document online. Now Global Manager Group has released updated ISO 17020:2012 Document Kit this week, which prepared as per their user requirements. 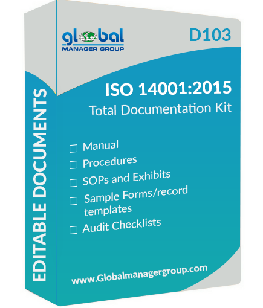 More than 200 global clients from USA, UK, Middle East, Asia and Africa has purchased ISO 17020 document kit online from Globalmanagergroup.com, and as per their valuable suggestions, GMG has reformatted the documentation and released in Feb 2013. The documents are same as previous one, but some features are upgraded which are inspection manual, department wise flowcharts as well as audit questions for ISO/IEC 17020 certification for inspection agencies as per revised ISO/IEC 17020:2012 standard for conformity assessment. With this update ISO 17020 certification documents becomes more user friendly and meets all of the requirements of the standard more effectively. The aim of Global Manager Group with this updated iso 17020 document is to provide more effective version of ISO 17020 documents kit which meets all the requirements of clients from USA, UK, Europe and Asia. As per the client?? ?s feedback and suggestion, the documentation kit is designed with full of technical requirements and examples to meets their need as per iso 17020 conformity assessment requirements.